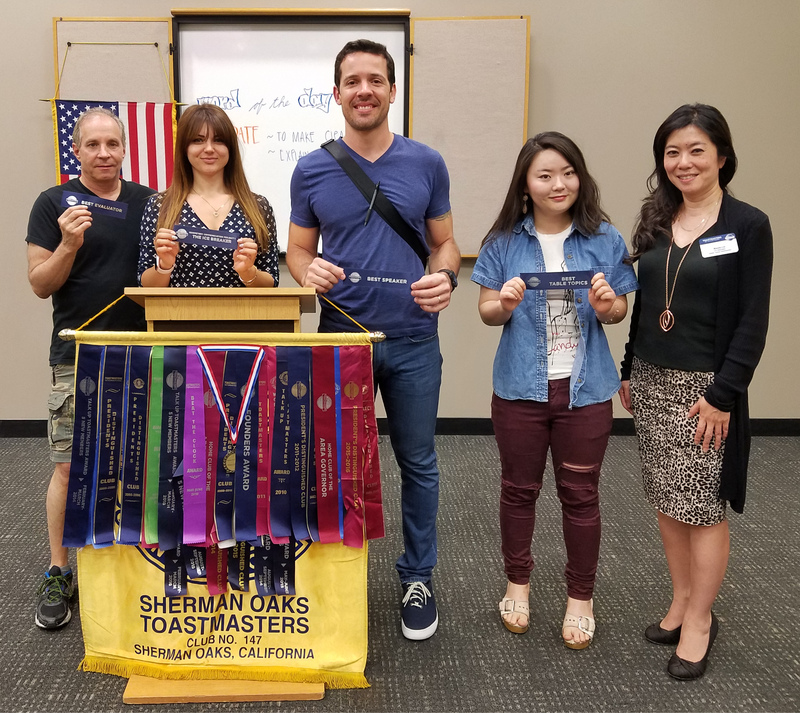 Our club is made of speakers of all experience levels. Come be inspired by the progress of new speakers and learn from our advanced speakers. 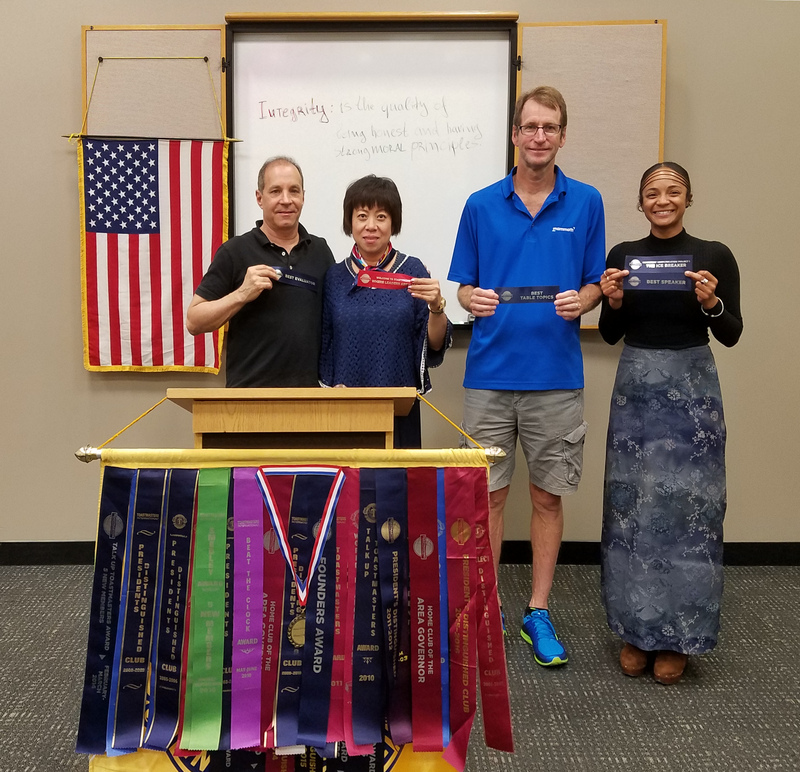 Our club is a traditional Toastmasters club, focused on helping members overcome any fear of speaking and become the best speakers they can. There are opportunities to improve with both improvisational and prepared speaking, as well as in leadership settings. 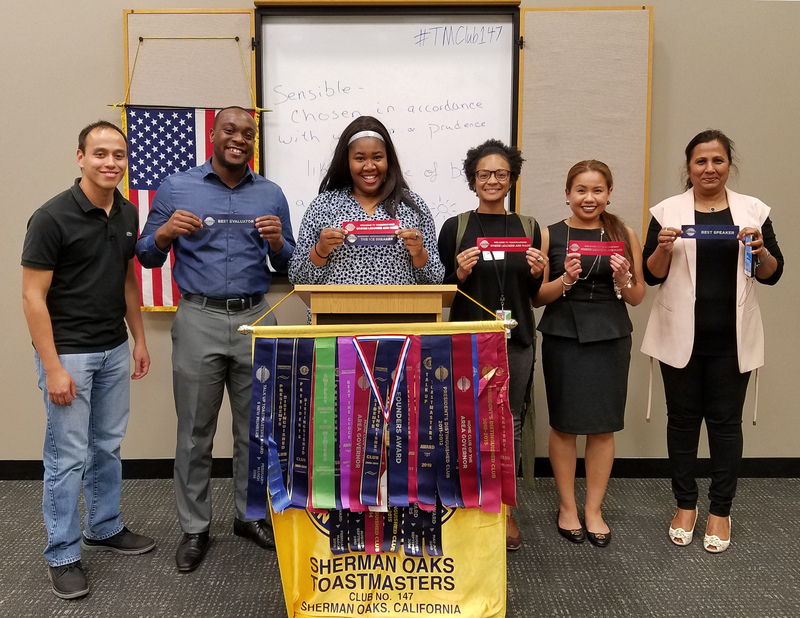 For members seeking to improve their leadership abilities, there are multiple club roles members can take on to gain valuable hands on experience. There are also multiple levels and awards to achieve, which look great on a resume. Meetings are designed to be extremely supportive environments. 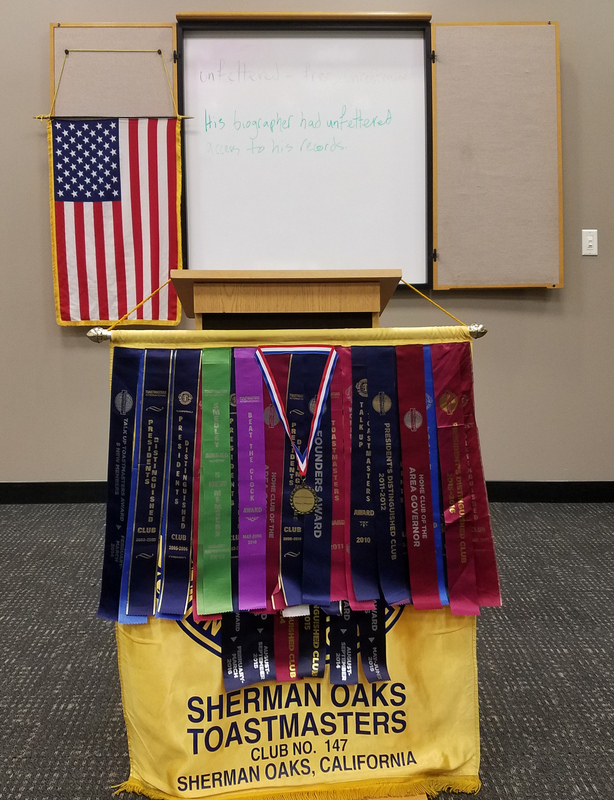 Guests are welcome to participate in our first section, where our Topics Master for the night asks people impromptu questions. We also often have special speaking segments like a debate panel or mock interview. The final segment of the night is our prepared speeches and evaluations by members. 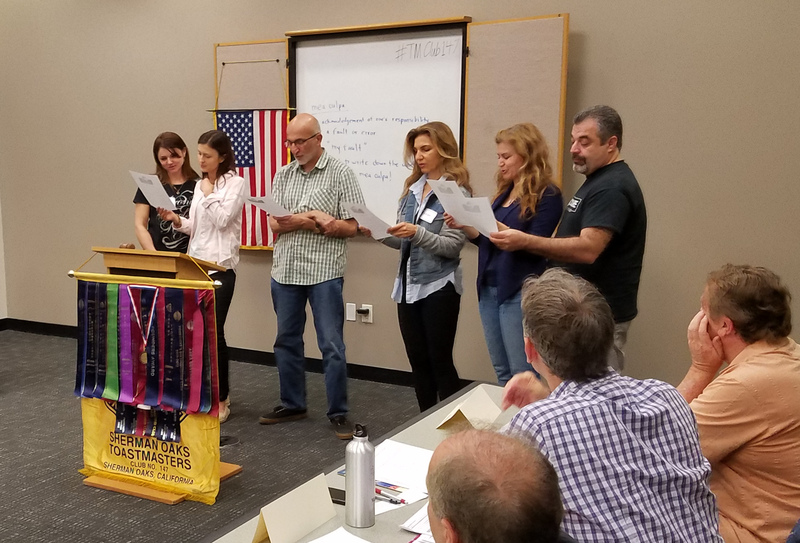 It’s an opportunity for members to work through any fears they have and improve on specific goals from the Toastmasters pathway they selected. The Location — A NEW LOCATION! 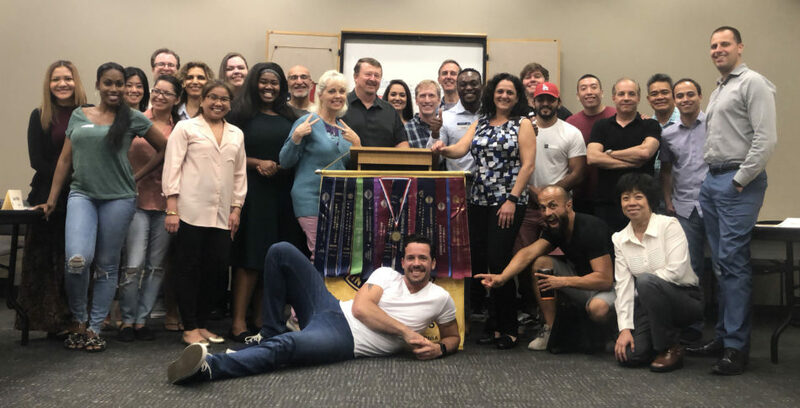 As of April 1, 2019, the Gettin’ Toasty club will no longer be meeting at the Galleria Community Room since, after many, many years, their rules have changed and they have begun charging non-profits to use it. While we are looking for a new permanent home, we have secured meeting locations as near Sherman Oaks as possible. Some of the locations we have set up for the near furture are the Woodland Hills Firehouse Training Room and the North Hollywood Firehouse. It will vary from week to week. We still would LOVE to have both guests and members attend. 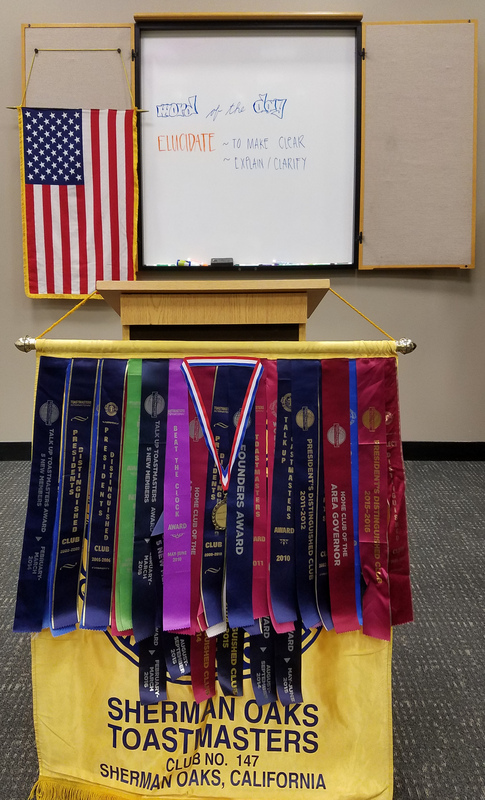 For the location of the meeting each week, you can email Melody Jackson at melody@smartg.com or David Chatfield at dmchatfield@gmail.com and they will send you the information. For last minute info, you can also call Melody at 818/907-6511. You may also request to be put on our weekly update of the location until we find a permanent new location.